I’ve been adding to our busy bags recently to give my preschooler more to do during our homeschool time. I made this Umbrella Raindrop Counting Busy Bag to help him practice counting and number recognition. 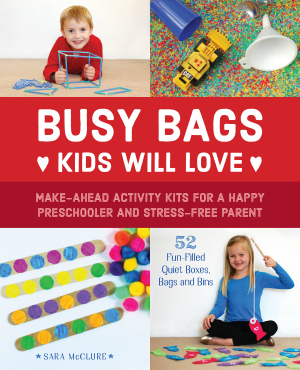 This busy bag is simple to make and includes a free printable for you! This busy bag works on counting, number recognition, and one-to-one correspondence. I included numbers 1-20 in the free printable busy bag for preschoolers, but you can begin with 1-10 if you need to and then help your preschooler work up to 20. 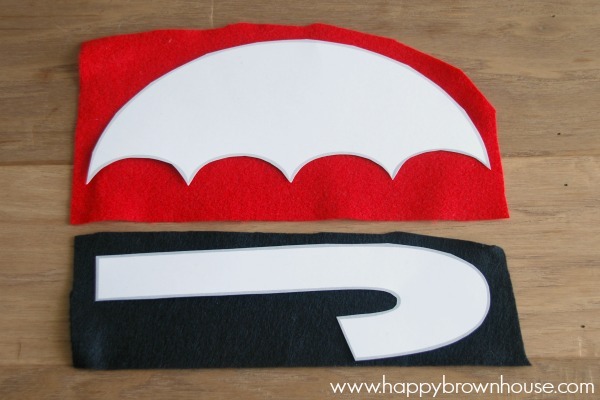 Cut your felt pieces using the templates in the printable. To make it sturdier, I cut two pieces of each shape. 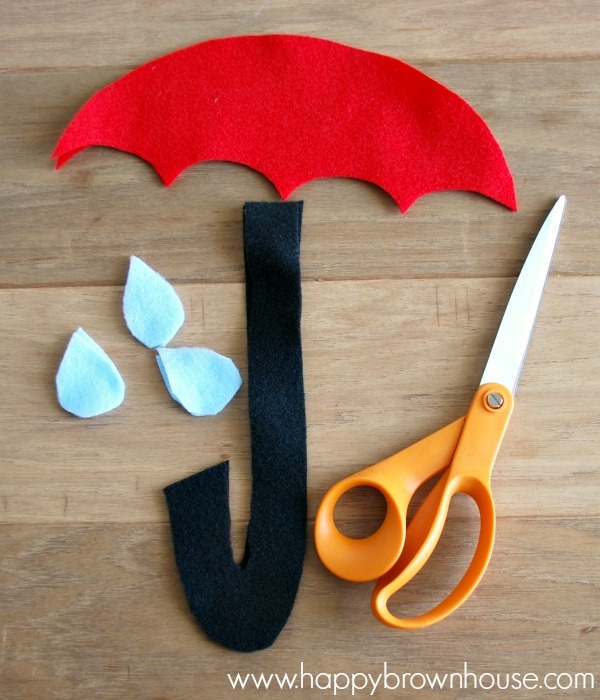 I just cut the raindrops freehand. When you’ve cut the shapes, hot glue the two umbrella handle pieces together first. Then, hot glue the top of the umbrella together, making sure the handle is inside the two pieces of felt. 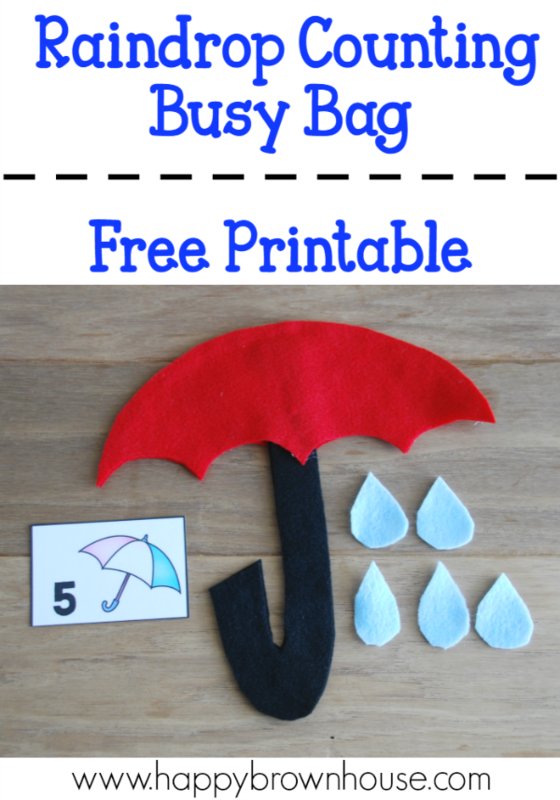 Print, laminate, and cut the umbrella number cards apart. Now you’re ready to play! 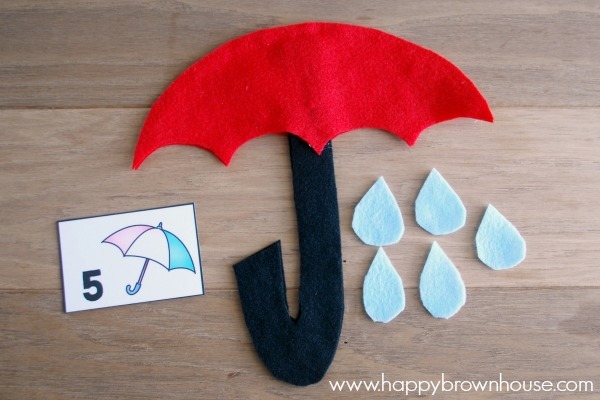 Have your child pick a card, name the number, and count the number of raindrops. I hope you an your little one enjoy this busy bag as much as we have! Just wanted to add an idea. Try adding magnets to this activity and make it a vertical wall activity. Can be done standing, too. A vertical surface helps develop muscles differently, especially wrist extension. And kids get to look up instead down at their desk. From a school Occupational Therapy perspective. What a fabulous idea, Gloria! Thanks!